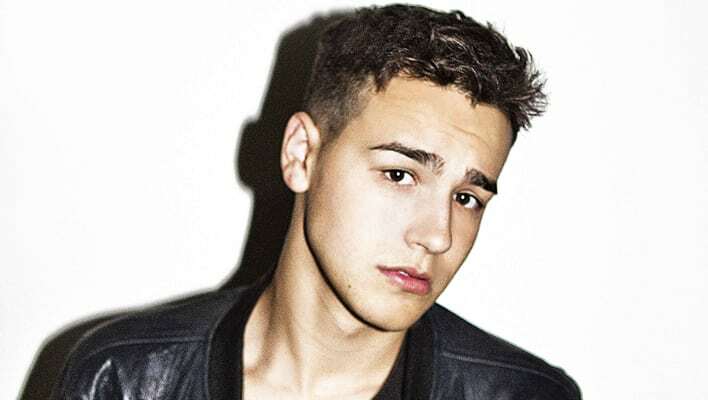 Singer-songwriter Jacob Whitesides has evolved from a YouTube phenomenon, to the live performance you don’t want to miss. Selling out shows in the U.S. and Europe, he will be at the Troubadour June 18 and House of Blues San Diego on June 21. As an up-and-coming artist, he didn’t reach for the first deal thrown his way, but rather began to build his own empire, becoming the CEO of Double U Records (in partnership with BMG). This not only gave him a different perspective in the music industry, but also gave him the confidence to build his own style instead of blending into the ideals of another record label. With such a massive following on YouTube that later grew on social media, Whitesides saw the different offers and opportunities available, but stayed motivated in finding his own way in the industry. Aside from being able to mold his own musical aspirations, being CEO has given him the ability to be the decision maker in most situations where an artist often has no voice. In addition to playing on YouTube, Whitesides has released 3 EPs. 2014’s 3 Am features all cover songs, while A Piece of Me and Faces on Film features original material. His debut album Lovesick is due later this year. With the release of the single “Lovesick” from the upcoming album, it’s easy to see that Whitesides is transitioning from his cover song days to building his own sound as an acoustic, indie musician, but as a more Maroon 5-style pop rock artist. Considering Whitesides has only been recording for about a year-and-a-half, the writing and recording for this new album contains lyrics about his recent tour experiences, as well as his relationships and how they’ve developed. Whitesides has been playing new songs from Lovesick during his live performances, giving fans a taste of what to expect, but his favorite song on the new album has yet to be played live. Although being far away and traveling seriously for the first time, Whitesides was ecstatic to share his music with fans he hadn’t been able to reach outside of the computer screen. Whitesides, being labeled as the “next Bieber” by many because of his start, is proving to become his own icon, building a fanbase of Whitesiders across the globe.